When dealing with a small space, one of the most important aspects is to try and make it appear as large as possible. Without expanding the space, there are some relatively simple techniques that can be used to trick the eye into thinking that the space is bigger than it actually is.Here’s five of them. 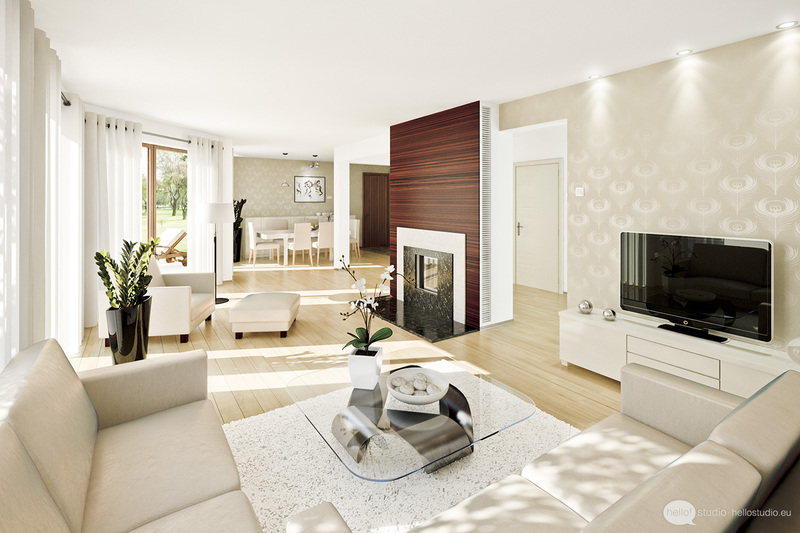 Various colour combinations are actually able to make a room appear larger than it actually is. For instance, white and icy blue are able to make a room appear larger. It’s all about the way that our eyes perceive things; it creates an optical illusion. In fact, most bright colour combinations will make a room appear large, while dark colours have the opposite effect. Try to combine both bright lights with light furniture and wall paint. Avoid using anything dark in your lounge room. This is going to take away from the illusion, and will make the room look much smaller. Most of the time, we rely on artificial lighting because it is rather inexpensive and easy to obtain. This isn’t a big problem, but did you know that you can make a room feel more open by using natural lighting as well? Large windows are a great way to make a room appear much larger, and will reduce the need to use artificial lighting. This also allows for a connection with nature, which is always a comfortable addition. More is not always better, and will often be worse. Take a simple approach with your room and try to keep it from becoming cluttered. You don’t need a bunch of tables located everywhere, and you can actually provide more room by reducing the size of your furniture. Small chairs could be a much smarter option than large sofas, which rarely are ever needed. There are many modern pieces of small furniture that will be much more comfortable to relax in than some of the larger pieces many lounge rooms use today. Mirrors aren’t often thought of as a method of opening up a room, but they can work wonders. By placing them in key locations, a mirror’s reflection can make the room appear larger than it is, even if you know that it’s just a reflection. Mirrors also help spread light throughout the room, and this is essential. Placing mirrors on walls or table tops will prove much more effective than you would really think, so give it a try. This goes hand in hand with the clutter tip, as that is the intended purpose behind it. There are furniture pieces that actually serve multiple purposes, which will reduce the amount of room needed. For example, you can use a coffee table that doubles as a chest, which makes two items take up the space of just one. Come up with some clever ideas. If you can imagine it, someone is trying to market it!